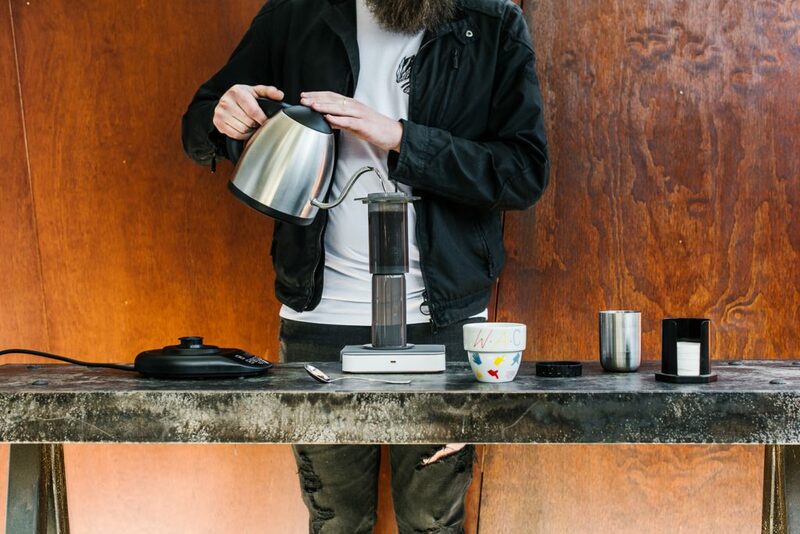 Weigh out 12.5g of coffee using your digital scales. 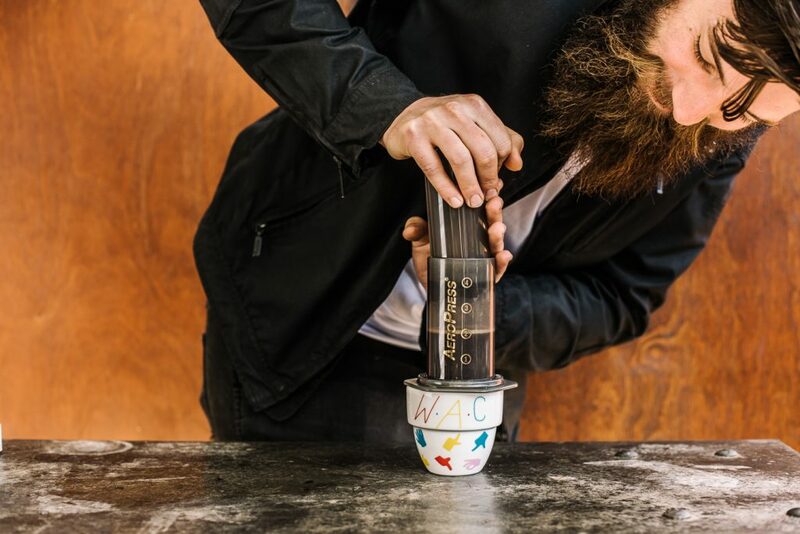 Put the plunger into your tube and invert the two. If you’d like to pre-heat now’s the time! 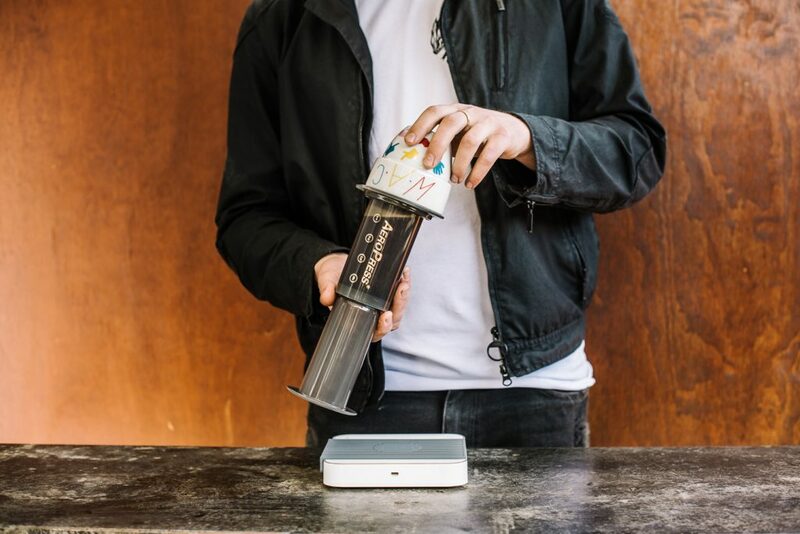 Weigh your coffee into the inverted AeroPress. As a base recipe we’re looking for 12.5g. 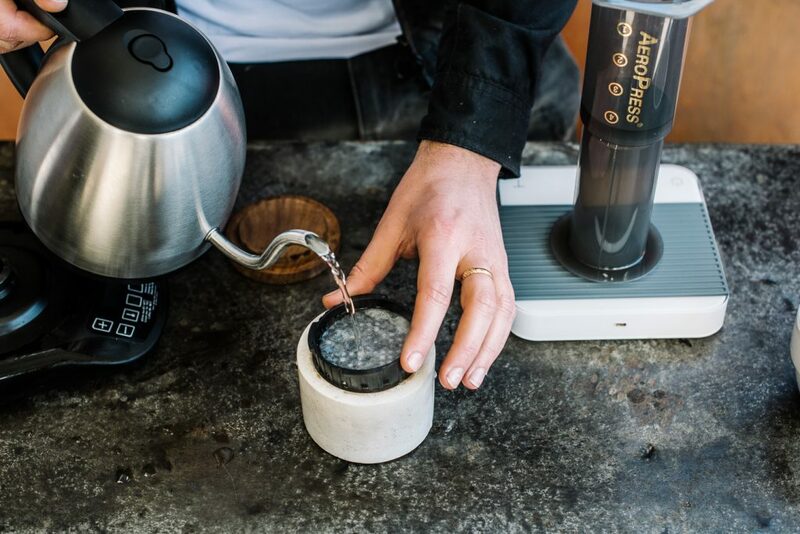 Pour 210g of 95 degrees water into your inverted tube, making sure all the coffee is evenly saturated. This should take 15 seconds or so. 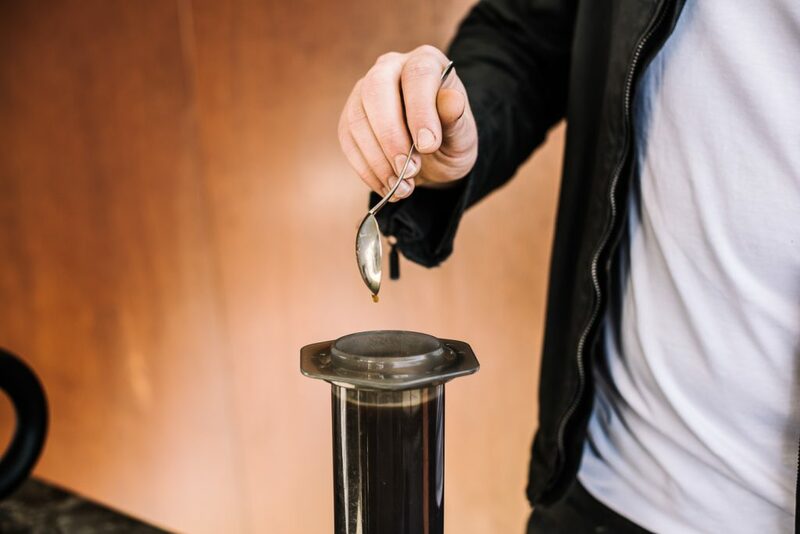 Give the coffee a vigorous stir. Screw the cap on and play the waiting game until 1.45 seconds. 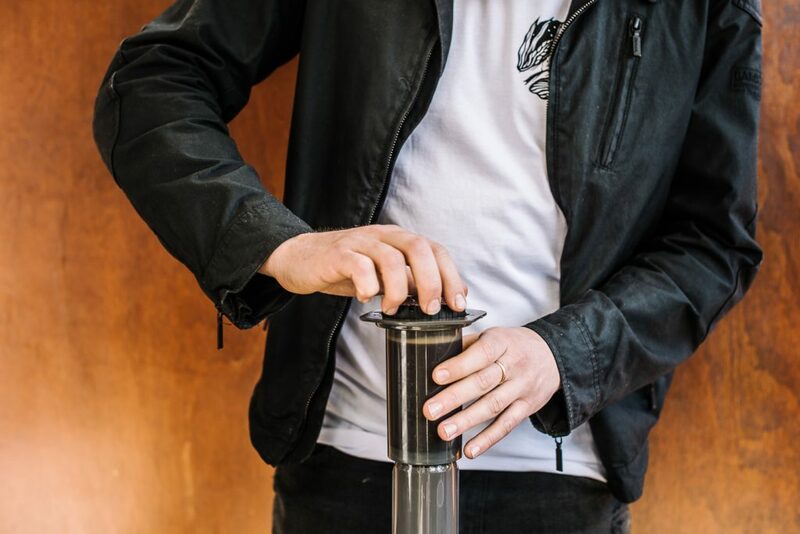 Place the cup (and hand) on the bottom of the AeroPress & flip over. Push down using gentle pressure while saying “One elephant, two Elephants”…. Until there are say 30 Elephants in the room. Aiming for a finish time of 2 min 15 seconds. 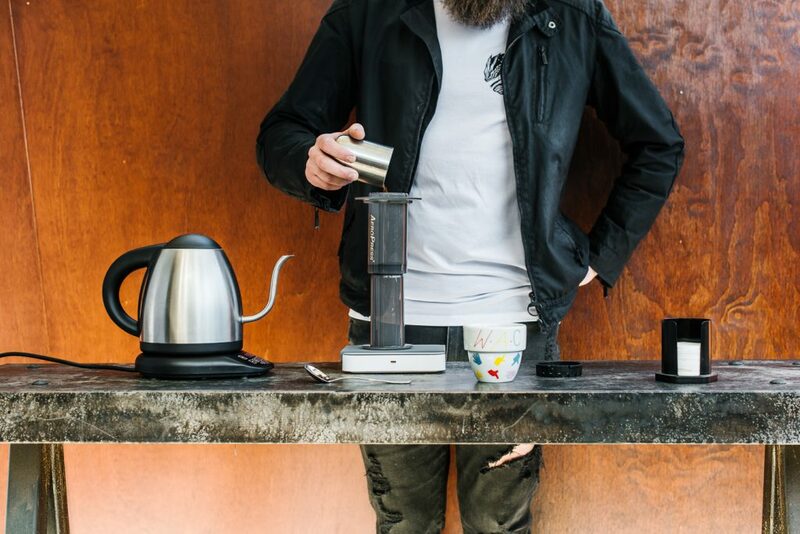 NB: Everyone’s got their own way to brew, so play around a little. 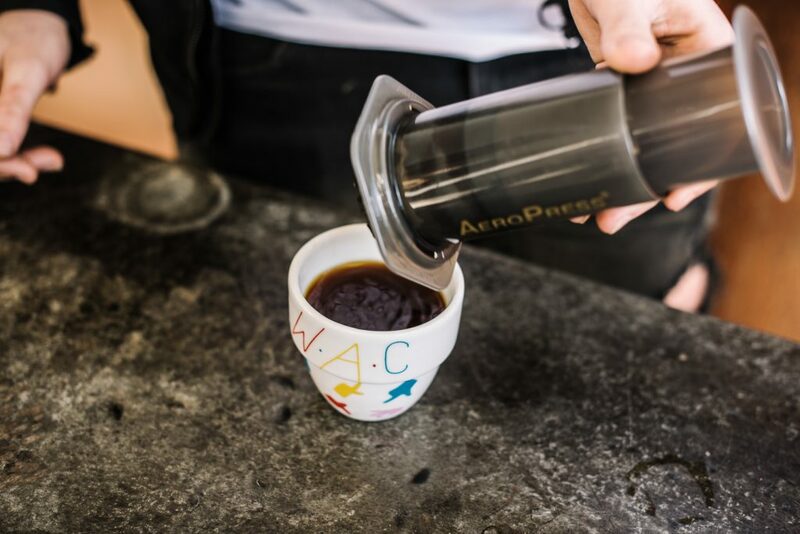 If you like your brew stronger, try grinding a bit finer or brewing for slightly longer before adding more coffee. 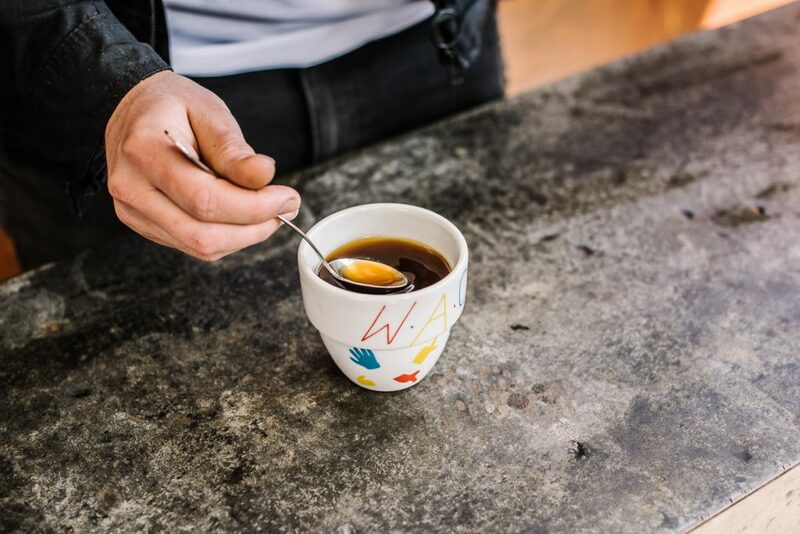 For those seeking less acidity, espresso roast coffee will deliver a more ‘traditional’ cup profile. If you want to get real clever try some ‘third wave water’ like our Owner Dion likes to use!